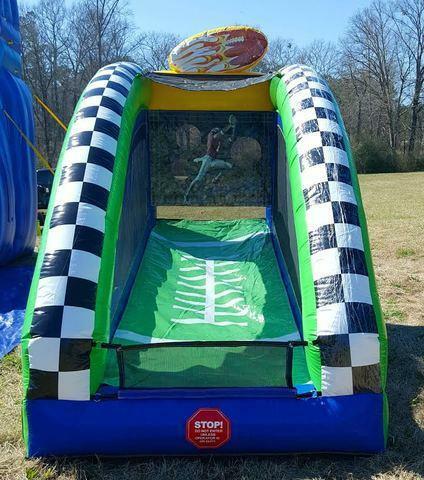 Our football toss inflable is so much for for any sport theme event. The game stands 10ft tall and all size footballs are included. 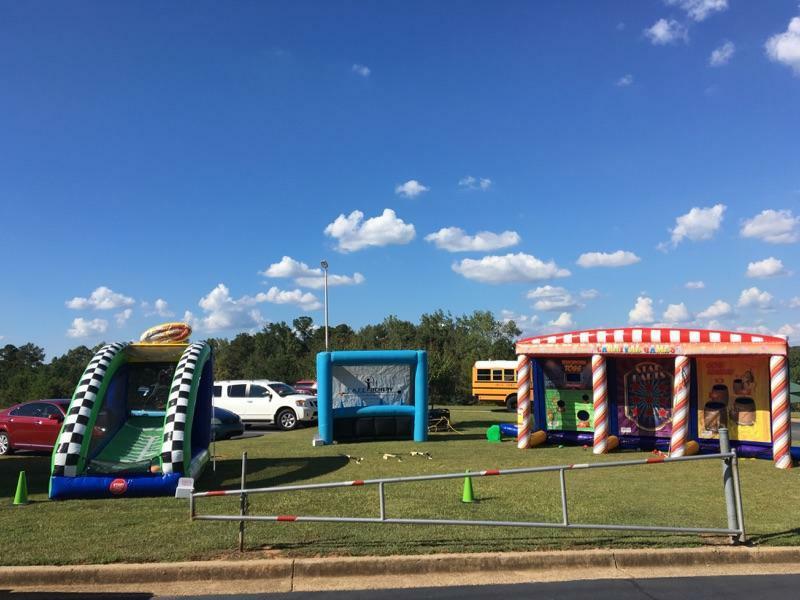 This football game will become one of the most popular additions to your party and bounce house rental business. With its sports theme, it fits into any type of celebration from birthdays to outdoor barbecues, which means it is perfectly suited for entertaining guests during every season. Its size also makes it ideal for older kids and adults to test out their throwing arm as they compete to see who can throw the ball through the targets.